Cost Savings- Using recycled concrete can save you money on the cost of materials. Because recycled concrete is less expensive to produce, you’ll be able to lay down a sturdy foundation for a fraction of the cost. This frees up more money to spend on other elements of your design. Lower Environmental Impact- Manufacturing new concrete has a high energy cost, and over time depletes natural stone deposits. Recycled concrete, on the other hand, leaves these deposits untouched and requires little processing. Using recycled concrete gives new life to waste that would otherwise merely take up space in a landfill. Durability- Some people may be skeptical of recycled concrete, thinking that the recycling process might weaken the resulting material somehow. 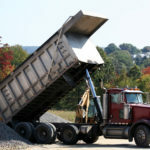 However, studies by the Federal Highway Administration have shown that recycled concrete is just as durable and structurally sound as natural aggregate materials. You’ll be able to protect the environment without sacrificing safety or structural integrity. If you’d like to learn more about recycled concrete and how it compares, contact our team at Flesherton Concrete Products. We are happy to answer any questions you may have.